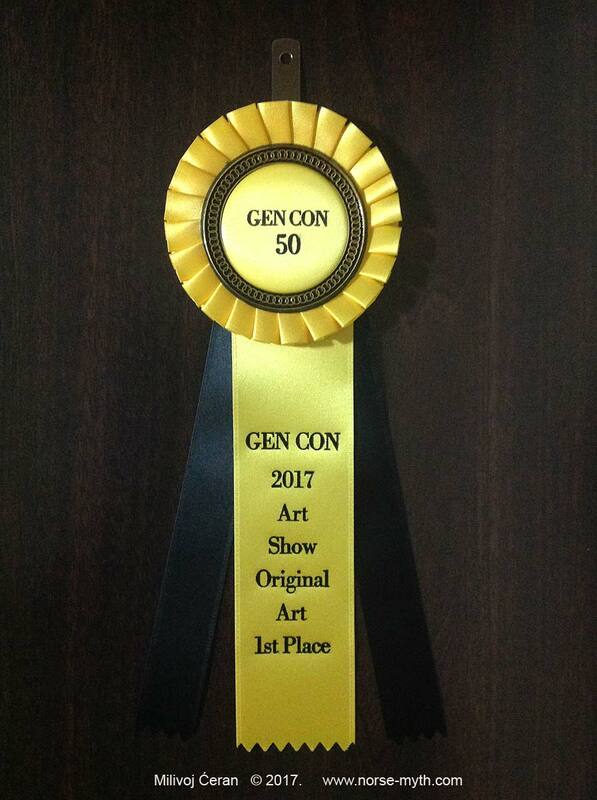 I’m speachless and very thrilled cause I’ve got the Gen Con 50 Art Show Original Art 1st Place award! The ceremony was on 17th Aug 2017 in Indianapolis. 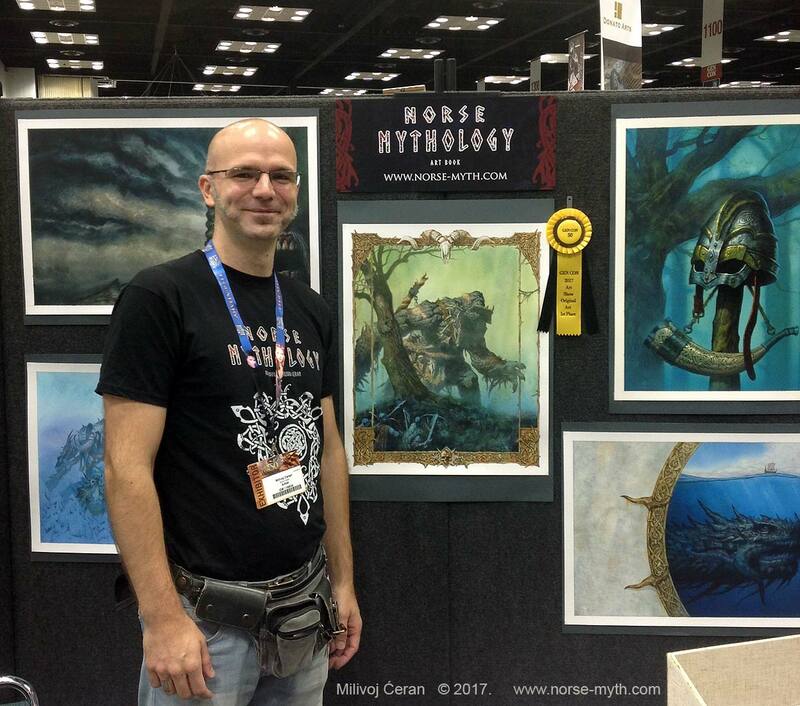 I’ve exhibited there my works as the part of Art Show, and for the first time originals from the Norse Mythology art book were exhibited. 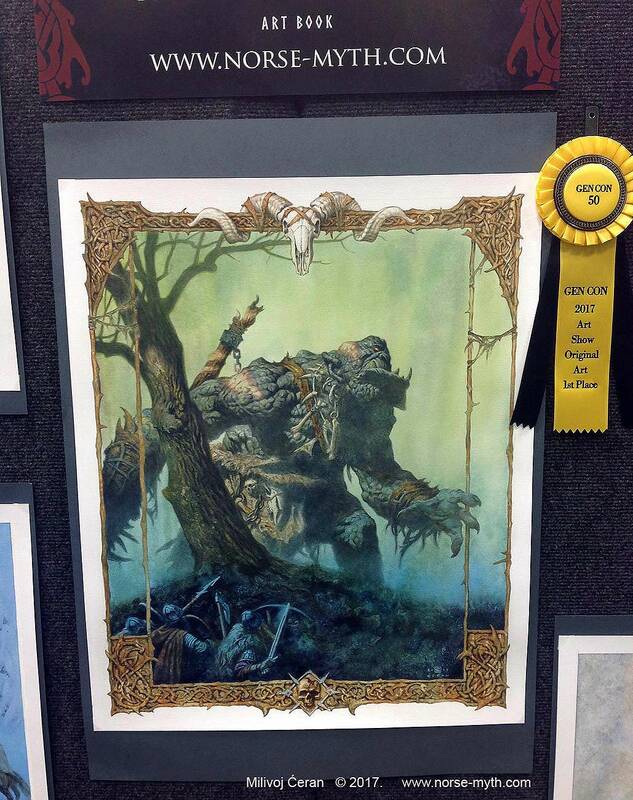 The award was for the “Trolls” artwork from my personal project – Norse Mythology art book. So that make it more special, and means a lot to me!